When we started out five years ago, we thought we’d be a kind of standard resource for CPU, RAM, and storage—similar to the Amazons and Googles of the world. But what we turned out to be is more of an enabler for managed services provider, taking customers and partners alike by the hand and ushering them into the cloud. Today, we are the largest geographically dispersed provider of cloud services to enterprise business in the country. Our own journey to the cloud was driven out of necessity to solution greater efficiencies for our clients rising needs for resource scalability and manageability. Up until then, big data meant the dependencies on individual traditional physical datacenters which unfortunately also ushering in the rise of big related floor space, power and environmental costs. For a managed service provider perspective, we want to be able to offer our customers and partners the kind of savings and flexibility the cloud has to offer, which in many cases is considerable. A typical customer moving to the cloud is looking at a approximately 20-40% savings right across the board vs. purchasing their own infrastructure on a 3-5 year schedule. Add on top of that the value of reducing the level of effort in maintenance and the flexibility of being able to add capacity at a moment’s notice, becomes quite practical and synergetic with how businesses are operating (or need to) in today’s competitive business environments. When we started looking for a technology partner to take our business to the cloud, HP had a head start on everybody from our perspective. They have the track record, they have the Converged Infrastructure, and they have world-class networking solutions. They have every piece of the puzzle in one location, where other vendors are still piecing their own solutions together with multiple vendors involved. We thought, if we’re moving to the cloud, we really want a holistic solution, and someone who would stand behind that holistic solution for us. That’s why we chose HP Helion. Working with HP has enabled us to scale up very quickly and simply by allowing us as a customer to stop thinking about the separate pieces that make up a data center. I no longer have server, storage, or networking guys: all I have now are cloud guys, and they do everything together. Having that clarity of focus and that simplicity of working has allowed us to very quickly implement new infrastructure all across Canada. And the fact that Helion is built on an OpenStack standard means that we and our customers have a standardized layer that everyone can talk to. We think OpenStack is going to be the thing that removes vendor lock-in from the space and makes the cloud accessible to everyone. It’s a game changer. HP has really taken the initiative to make HP Helion a unique and universal cloud solution, and it’s just completely knocked our socks off. Looking for more information about Server Cloud Canada and how HP Helion is a unique and universal cloud solution? 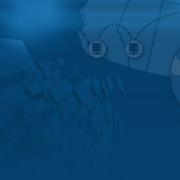 Server Cloud Canada provides a full turnkey market model enabling immediacy to market and revenue generation. Contact SCC to learn more. Orchestrating Your Cloud With SCC and vCloud Director 5.5 CC PL What Happens In The Cloud, Should Stay In The Cloud!